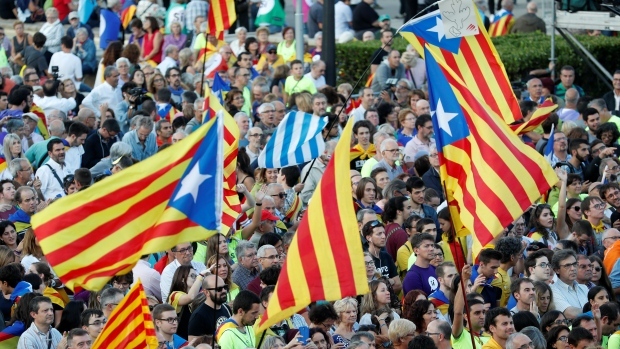 Catalan Independence: Out of Madrid's Frying Pan, Into the NATO Fire? October 9, 2017 (Tony Cartalucci - NEO) - Media on all sides surrounding the recent Catalan referendum for independence from Spain focused on Madrid's security crackdown on voters. However, what is not being mentioned about Catalonia's ongoing bid to achieve independence, who is leading it, and what their plans are for the region should they succeed, is just as important. Catalonia is one of the most prosperous regions of Spain, possessing a population and GDP on par with or slightly above Singapore or Scotland. It has enjoyed various levels of autonomy for decades and - unlike many US-European "independence" projects around the world - could likely emerge as an independent and prosperous sovereign nation. 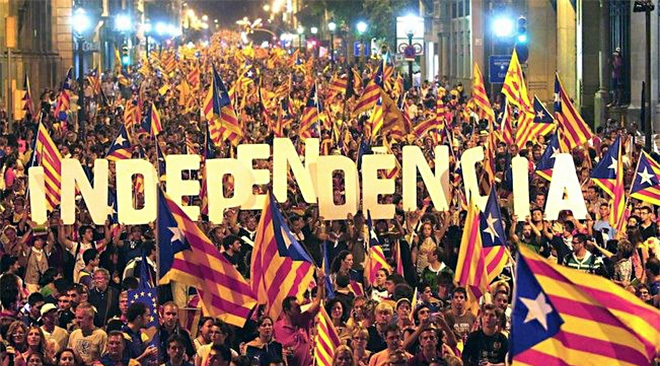 For this fact alone, many people support and are enthusiastic about Catalan independence. Real Independence, or Shifting Dependence from Madrid to Brussels? However, despite attempts by the Western media and the special interests they represent to appear indifferent or even opposed to Catalan independence, policy papers from Western corporate-financier sponsored think tanks indicate an eagerness - particularly by NATO - to integrate what they expect to be a robust military capability into their global wars of aggression. Catalonia has 7.3 million people, with more than $300 billion in GDP. 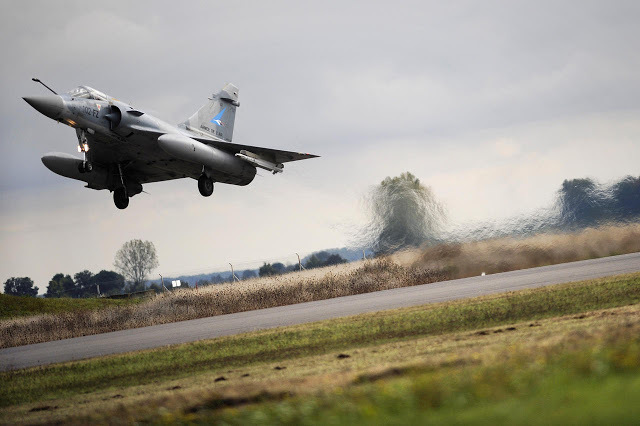 Spending just 1.6% of that on defense provides over $4.5 billion annually, or roughly the budget of Denmark, which has well-regarded and efficient armed forces. Catalonian military plans are more vague, but so far, they emphasize the navy. With excellent ports in Barcelona and Tarragona, Catalonia is well-positioned as a minor naval power, ‘with the Mediterranean as our strategic environment, and NATO as our framework’, as the nationalists’ think-tank on defense argues. The rough plans call for a littoral security group of a few hundred sailors at first. 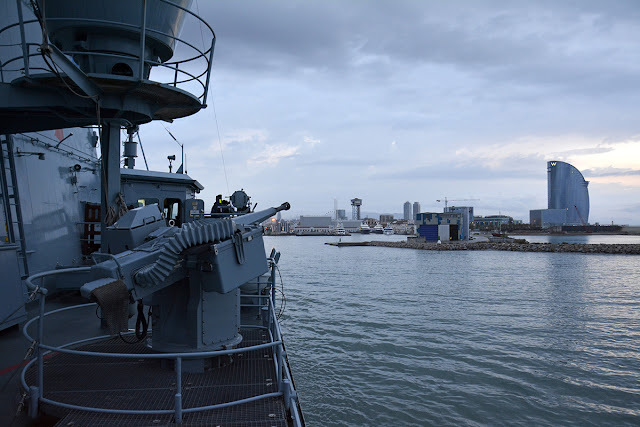 After a few years, Catalonia would assume responsibility as "a main actor in the Mediterranean," with land-based maritime patrol aircraft and small surface combatants. Eventually, the nationalist ambition may include an expeditionary group with a light assault carrier and hundreds of marines, to take a serious role in collective security. The Atlantic Council article cites Catalan policy papers regarding what they called, "a valuable and refreshing view of specialization in collective defense," in reference to Catalan intentions of joining NATO should they achieve independence. This is confirmed by unambiguous statements made by leading Catalan politicians themselves, including the former President of the Generalitat of Catalonia Artur Mas who personally picked and supported his successor, current president, Carles Puigdemont. In a 2014 article titled, "Catalan PM confirms NATO membership, commitment to collective security," then President Artur Mas stated unequivocally Catalonia's plans to join NATO. Prime Minister Artur Mas explicitly confirmed Catalonia is seeking NATO membership. In a recent interview with the Italian daily La Reppublica, Catalan Prime Minister Artur Mas explained that an independent Catalonia sees herself at the heart of NATO. This is in line with Catalonia's commitment to the international community, the principle of collective security, international law, and the rule of law at sea. Policy papers - like those from the pro-independence Catalan National Assembly - have already begun to lay out the specifics of integrating Catalonia into NATO as a member nation focused specifically on configuring its military forces, not for national self-defense, but "collective defense" within NATO. October 1, 2017 (Tony Cartalucci - LD) - Headlines and commentary across both Eastern and Western media have mainly focused on the Catalan independence referendum and the actions of Spanish police and the Spanish government's attempts to disrupt polls. 3. Pro-independence Catalan politicians appear to enthusiastically support Catalonia's membership in NATO. ...when the next Afghanistan comes, Catalan blood will also be spilled. September 18, 2017 (Ulson Gunnar - NEO) - When it comes to nuclear weapons upon the international stage, the general consensus is certainly not "the more the merrier." Attempts to limit the number and variety of nuclear weapons and to take measures to avoid the use of those that do exist have been ongoing since the first nuclear weapons were developed at the end of World War 2. Today, however, one of the several nuclear-armed nations of the world and its behavior has jeopardized the hard-fought progress made toward this goal. One of several treaties singed during the later stages of the Cold War included the Anti-Ballistic Missile Treaty (ABMT). It limited anti-ballistic missile systems to two per country. The reasoning was to hinder anti-missile technology development and leave nuclear-armed nations open to retaliatory attacks should they initiate a nuclear first strike. The treaty helped further enhance the concept of "mutually assured destruction" (MAD). After the dissolution of the Soviet Union, member states upheld the treaty with the United States until 2001 when the United States unilaterally withdrew from it. ...the United States and Russia face new threats to their security. Principal among these threats are weapons of mass destruction and their delivery means wielded by terrorists and rogue states. A number of such states are acquiring increasingly longer-range ballistic missiles as instruments of blackmail and coercion against the United States and its friends and allies. The United States must defend its homeland, its forces and its friends and allies against these threats. We must develop and deploy the means to deter and protect against them, including through limited missile defense of our territory. However, the United States would spend the next decade and a half, not developing anti-missile systems aimed at stopping non-existent weapons of mass destruction launched from "rogue states," it instead spent that time encircling Russia with anti-missile systems, including those placed in Eastern Europe. In essence, the United States has begun to fulfill the sum of all fears during the Cold War, that a nuclear armed nation would attempt to monopolize missile defense technology and use it as a means to develop a nuclear first strike capability without fear of retaliation. Opponents of America's decision to withdraw from the ABMT noted that the move also undermined Washington's own alleged nuclear non-proliferation efforts. Articles like February 2017 New York Times piece titled, "Russia Deploys Missile, Violating Treaty and Challenging Trump," attempt to portray Russia as menacing the US and its Western European allies with new and potentially "illegal" nuclear weapons. The ground-launched cruise missile at the center of American concerns is one that the Obama administration said in 2014 had been tested in violation of a 1987 treaty that bans American and Russian intermediate-range missiles based on land. The Obama administration had sought to persuade the Russians to correct the violation while the missile was still in the test phase. Instead, the Russians have moved ahead with the system, deploying a fully operational unit. 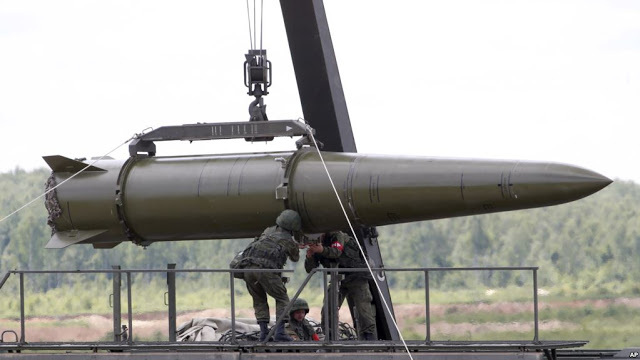 The article refers to another landmark effort made during the Cold War to reduce the likelihood of nuclear war, the Intermediate-Range Nuclear Forces Treaty, signed in 1987 by the United States and the Soviet Union. 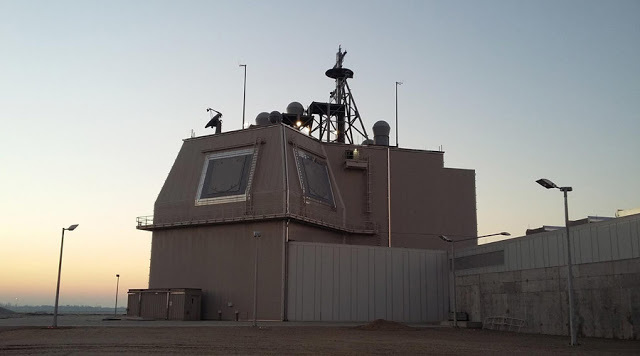 The missile program has been a major concern for the Pentagon, which has developed options for how to respond, including deploying additional missile defenses in Europe or developing air-based or sea-based cruise missiles. Clearly, Russia is responding to existing missile defenses the US has placed across Europe, or plans on placing across Europe in the near future. As predicted by opponents of America's 2001 decision to withdraw from the Cold War ABMT, America has undermined non-proliferation efforts, not only inviting other nations to discard efforts to rein in nuclear proliferation and the number and variety of nuclear weapons deployed by a nation, but in fact leaving nations with no other choice in the face of America's own attempts to obtain a nuclear first strike capability. As NATO expands and as the United States digs in along Russia's borders, a proverbial fuse lit by America's withdrawal from the ABMT and its belligerence toward Russia ever since becomes shorter and shorter. By provoking Russia into developing and deploying nuclear-capable intermediate-range missiles able to negate the possibility of a US nuclear first strike, the amount of time between launch and all out nuclear war has been significantly shortened. Despite the US provoking this chain of events, instead of taking stock and retreating to a more sensible position, it is using Russia's predictable reaction to rush even further forward. By posing a greater nuclear threat to Russia, the United States through its own irresponsible behavior upon the world stage encourages many other nations to pursue, develop and deploy nuclear armaments as a means of defense and deterrence. While the United States poses as international arbiter of nuclear non-proliferation, it appears instead to serve as the premier provocateur of new nuclear weapons gold rush. August 5, 2017 (Ulson Gunnar - NEO) - While the US claims recent sanctions targeting Russia are based on alleged Russian interference in last year's US elections, a careful examination of US policy post-Cold War reveals a systematic campaign aimed at undermining Moscow, encircling Russia and attempting to overturn the current, prevailing political order there in favor of one dominated by US interests. At each step, various excuses are concocted, mainly to mesh with current political narratives embedded within public perception at any given time. Currently, playing left and right-leaning Americans against one another regarding the 2016 election and still-unproven allegations that Russia played a hand at tipping the election in President Donald Trump's favor helps sell this most recent move made toward undermining Russia. 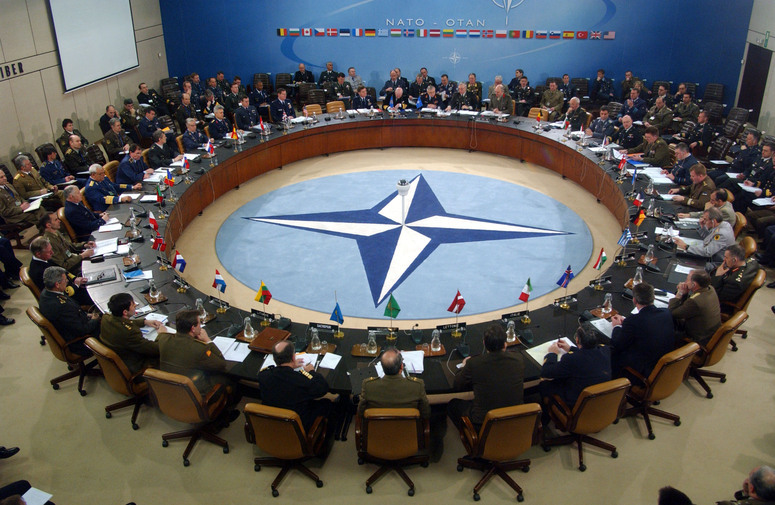 The expansion of NATO itself is a violation of commitments made to Russia post-Cold War. 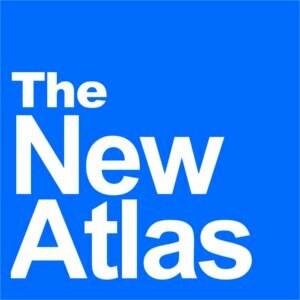 While publications from policy think-tanks like the Brookings Institution attempt to claim otherwise, it is clear that Russia was opposed to NATO's continued eastward expansion post-Cold War, and was willing to cooperate with the US and Europe on a variety of issues as long as NATO didn't do so. Brookings, in a piece penned by Steven Pifer titled, "Did NATO Promise Not to Enlarge? Gorbachev Says “No”," claims that promises made to Russia about limiting NATO expansion were made only in regards to Germany after reunification. Pifer claims that, "it is clear that the secretary general’s comments referred to NATO forces in eastern Germany, not a broader commitment not to enlarge the Alliance." Pifer's conclusion is repeated on NATO's website itself under the title, "NATO enlargement and Russia: myths and realities," but fundamentally and very intentionally omits a very important point: if it was so important to Russia that additional NATO forces were not deployed in Germany and that no foreign forces could be deployed to the former GDR, why would Russia find it acceptable for other former territories to host foreign troops as part of NATO expansion? The answer is obvious. Russia would not find it acceptable. That the US and NATO agreed on this arrangement regarding Germany illustrates that US and European policymakers understood wider NATO expansion would also be perceived as a provocation. Since the reunification of Germany however, many more nations would be infiltrated by NATO-backed opposition fronts, their pro-Russian governments overthrown and subsequently made NATO members. This includes Czech Republic, Hungary, Poland, Bulgaria, Estonia, Latvia, Lithuania, Romania, Slovakia, Slovenia, Albania, Croatia and Montenegro. Nations like Georgia and more recently, Ukraine, have had their governments overturned and are on a path toward NATO membership. Knowing that NATO's expansion, including directly along Russia's borders, would be perceived as a provocation, but undertaking this expansion anyway indicates that policymakers driving NATO are disinterested in peace and stability and instead seek confrontation and conflict. In the Balkans and more recently in Ukraine, such conflict has exacted a terrible toll on both Europe and Russia not to mention those caught up directly in the fighting. 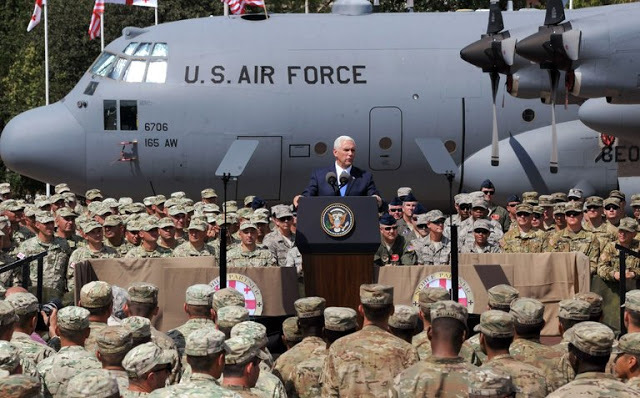 It was ironic that the likely passing of new sanctions against Russia was announced by US Vice President Mike Pence while giving a speech in Georgia, a nation that has received extensive US-backing in a bid to place yet another NATO member directly on Russia's borders. The purpose of the treaty was to prevent the US or Russia from developing missile defense systems that would negate their opponent's retaliatory strikes, thus eliminating the viability of a nuclear first strike. The treaty was a pillar used to balance power during the Cold War and prevent direct war between the United States and the Soviet Union. 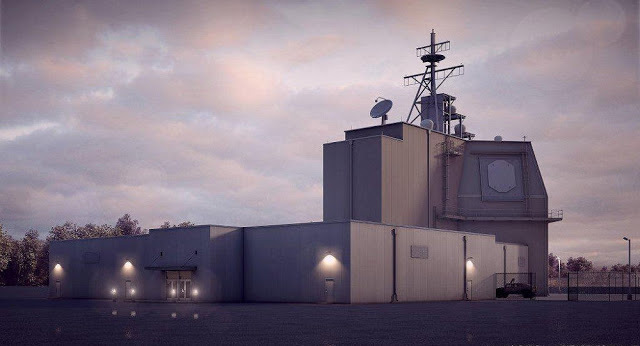 Since then, the US has pursued the construction of a multi-layered missile defense system encircling Russia with weapon installations positioned in several of the above mentioned NATO members included in NATO's post-Cold War expansion. Withdrawing from the anti-ballistic missile treaty and placing missiles along Russia's borders represents precisely the scenario Soviet policymakers feared when cutting a deal with NATO regarding Germany's reunification. It is unlikely Russia since the Cold War failed to imagine how NATO's expansion up to its borders would lead to greater confrontation and instability, even the prospect of war. With post-Cold War promises betrayed and NATO troops sitting on Russia's borders, considerable resources have been invested in convincing the global public that Russia, not NATO is to blame for current tensions. Each provocation committed by the United States and its allies are carried out with explicit intentions to leverage whatever Moscow's response may be to further escalate tensions. Sanctions are the least costly and least risky move the US can make both politically and in terms of adding pressure to Russia's political order. The goal is to eliminate Russia as a competitor in terms of industry, finance and geopolitics. To do this, the US seeks to pressure Russia into accepting a subordinate position within America's self-proclaimed "international order," or to overthrow and replace Russia's political order altogether. For Russia, continuing to build an alternative to America's "international order," as well as encouraging alternatives both within Russia and abroad to those special interests that define and drive that order, is key to preventing tensions from further escalating. UK Proscribed terrorist organization, Libyan Islamic Fighting Group (LIFG), maintains large presence in Manchester area and is now being linked to recent blast. May 24, 2017 (Tony Cartalucci - LD) - As suspected and as was the case in virtually all recent terror attacks carried out in Europe - including both in France and Belgium - the suspect involved in the recent Manchester blast which killed 22 and injured scores more was previously known to British security and intelligence agencies. 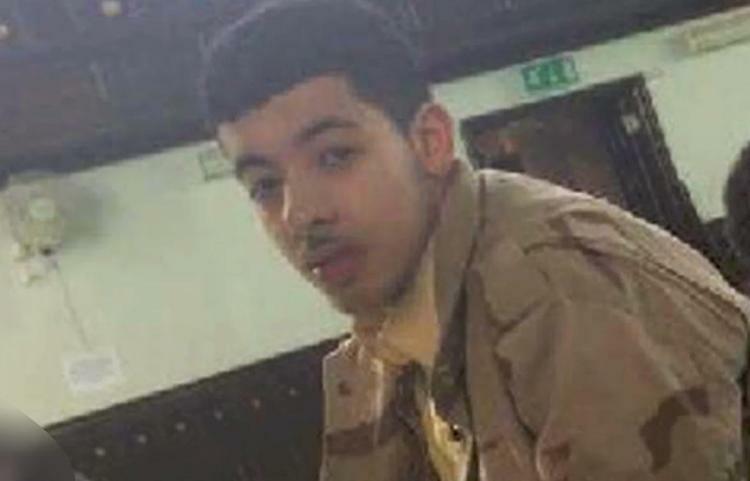 Salman Abedi, 22, who was reportedly known to the security services, is thought to have returned from Libya as recently as this week. While initial reports attempted to craft a narrative focused on a a "lone wolf" attacker who organized and executed the blast himself, the nature of the improvised explosive device used and the details of the attack revealed what was certainly an operation carried out by someone who either acquired militant experience through direct contact with a terrorist organization, or was directed by a terrorist organization with extensive experience. A group of Gaddafi dissidents, who were members of the outlawed Libyan Islamic Fighting Group (LIFG), lived within close proximity to Abedi in Whalley Range. Among them was Abd al-Baset Azzouz, a father-of-four from Manchester, who left Britain to run a terrorist network in Libya overseen by Ayman al-Zawahiri, Osama bin Laden’s successor as leader of al-Qaeda. 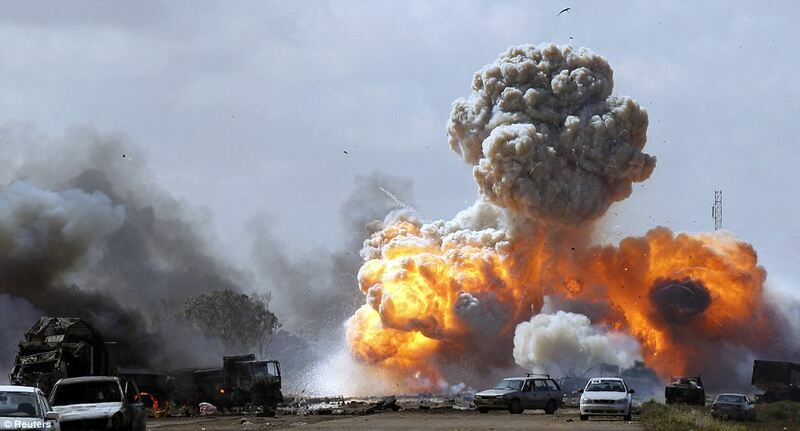 Azzouz, 48, an expert bomb-maker, was accused of running an al-Qaeda network in eastern Libya. The Telegraph reported in 2014 that Azzouz had 200 to 300 militants under his control and was an expert in bomb-making. Another member of the Libyan community in Manchester, Salah Aboaoba told Channel 4 news in 2011 that he had been fund raising for LIFG while in the city. Aboaoba had claimed he had raised funds at Didsbury mosque, the same mosque attended by Abedi. Thus, the required experience for the recent Manchester attack exists in abundance within the community's Libyan Islamic Fighting Group (LIFG) members. LIFG is in fact a proscribed terrorist group listed as such by the United Kingdom's government in 2005, and still appears upon its list of "Proscribed terrorist groups or organisations," found on the government's own website. 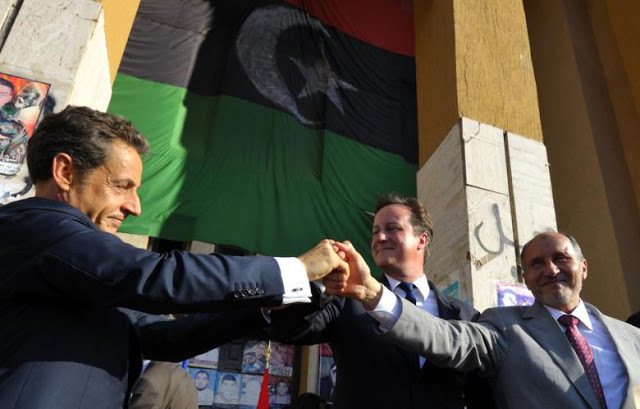 The LIFG seeks to replace the current Libyan regime with a hard-line Islamic state. The group is also part of the wider global Islamist extremist movement, as inspired by Al Qa’ida. The group has mounted several operations inside Libya, including a 1996 attempt to assassinate Mu’ammar Qadhafi. Thus, astoundingly, according to the Telegraph, a thriving community of listed terrorists exists knowingly in the midst of the British public, without any intervention by the UK government, security, or intelligence agencies - with members regularly travelling abroad and participating in armed conflict and terrorist activities before apparently returning home - not only without being incarcerated, but apparently also without even being closely monitored. LIFG also appears on the US State Department's list of Foreign Terrorist Organizations. Astoundingly, it appears under a section titled, "Delisted Foreign Terrorist Organizations," and indicates that it was removed as recently as 2015. On November 3, 2007, [Al Qaeda (AQ)] leader Ayman al-Zawahiri announced a formal merger between AQ and LIFG. However, on July 3, 2009, LIFG members in the United Kingdom released a statement formally disavowing any association with AQ. In early 2011, in the wake of the Libyan revolution and the fall of Qadhafi, LIFG members created the LIFG successor group, the Libyan Islamic Movement for Change (LIMC), and became one of many rebel groups united under the umbrella of the opposition leadership known as the Transitional National Council. Former LIFG emir and LIMC leader Abdel Hakim Bil-Hajj was appointed the Libyan Transitional Council's Tripoli military commander during the Libyan uprisings and has denied any link between his group and AQ. Indeed, a literal senior Al Qaeda-affiliate leader would head the regime put into power by US-led military operations - which included British forces. 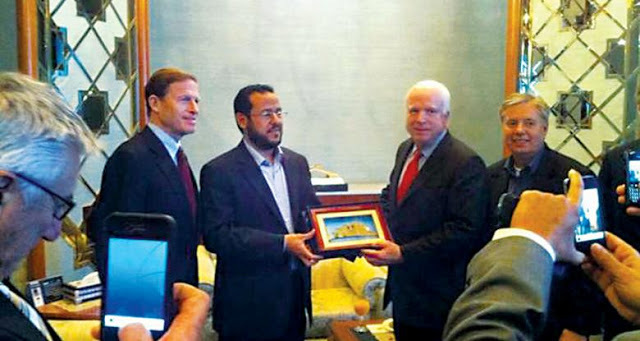 Not only this, but prominent US politicians would even travel to Libya to personally offer support to Bil-Hajj (also spelled Belhaj). In one notorious image, US Senator John McCain is seen shaking hands with and offering a gift to the terrorist leader in the wake of the Libyan government's collapse. Since the late 1990s, many members have fled to southwest Asia, and European countries, particularly the UK. For the residents of Manchester, the British government appears to have categorically failed to inform them of the threat living openly in their midst. While the British population is divided and distracted with a more general strategy of tension focused on Islam, Muslims, and Islamophobia, the very specific threat of US-UK sanctioned terrorists living and operating within British communities is overlooked by the public. March 25, 2017 (Ulson Gunnar - NEO) - US foreign policy has for decades been predicated on achieving and maintaining global peace, security and stability. In reality, it has for over a century constituted an overreaching desire to achieve and maintain global hegemony. And where US efforts focus on achieving hegemony, division and destruction follow. From the Middle East to Eastern Europe, and from Southeast Asia to the Korean Peninsula, US intervention politically or militarily all but guarantee escalating tensions, uncertain futures, socioeconomic instability and even armed conflict. US efforts in the Middle East since the conclusion of the first World War have focused on dividing the region, cultivating sectarian animosity and pitting neighbors against one another in vicious, unending combat. During the 50s and 60s, the US pitted its regional proxy, Israel, against its Arab neighbors. In the 1980's the US armed both the Iraqis and the Iranians amid a destructive 8 year long war. Today, the US props up Persian Gulf states who in turn are fueling regional, even global terrorism that has destabilized or entirely dismembered entire nations. And from the Middle East and North Africa, waves of refugees have reverberated outward affecting adjacent regions who have so far been spared from the chaos directly. In Syria, the United States poses as a central player in restoring stability to the conflict stricken nation. In reality, it was the US itself that trained activists years ahead of the so called Arab Spring, as well as funneled money into the Muslim Brotherhood and other extremist groups to serve as militant proxies after the protests were finally underway. Today, militant groups operating under the banners of Al Qaeda and its various affiliates are almost exclusively funded, armed and trained by the Persian Gulf states through which the US launders its own support to these groups through. Thus, while the US poses as an agent of stability in Syria, it is the central player intentionally creating and perpetuating chaos. Likewise, the North African state of Libya has been rendered all but destroyed, fractured into competing regions ruled by ineffective warlords, former generals, proxies of ever sort and Persian Gulf sponsored terrorist networks including the Islamic State. The instability in Libya has afforded the United States, its policymakers and the special interests who sponsor their work a safe haven for the vast infrastructure required to maintain regional proxy forces including training camps and weapon depots. This infrastructure, since 2011, has been used as a springboard to invade Syria, destabilize neighboring North African states and to fuel a divisive refugee crisis in nearby Europe. February 19, 2017 (Ulson Gunnar - NEO) - Since 2001, when then US President George Bush announced his "War on Terror," presidents and politicians both in the United States and among America's allies, have repeated this phrase and have done their utmost to convince the public that indeed, the West was fighting a "War on Terror." Yet there is something disturbingly ambiguous about what exactly the "War on Terror" consists of, who it's being waged against and how it could ever possibly be brought to a successful conclusion. It is also often referred to as the "Long War," and for good reason. America's ongoing occupation of Afghanistan is the longest armed conflict in US history. Additionally, US troops still find themselves in Iraq, some 14 years after the initial invasion and occupation of the state in 2003. Because of the ambiguous nature of the "War on Terror," politicians have been given much room to maneuver their rhetoric, explaining why more wars must be waged, more liberties curtailed at home and more wealth and power channeled into fewer and fewer hands. The fanatics, weapons, supplies, vehicles and finances that grease the wheels of global terror do not merely spring forth from the pages of the Qu'ran, as bigots across the West insist. Just like any national army, the army raised and wielded in the name of terrorism has several basic components. Examining these components reveals a very uncomfortable but somewhat poorly hidden truth. In reality, fanatics must be indoctrinated. And they are, in Saudi-funded madras and mosque networks wrapping around the globe. In the United States and across Europe, these madrases and mosques often serve as both indoctrination centers and recruiting stations. They operate as such with the explicit knowledge, even cooperation of US and European security and intelligence agencies. 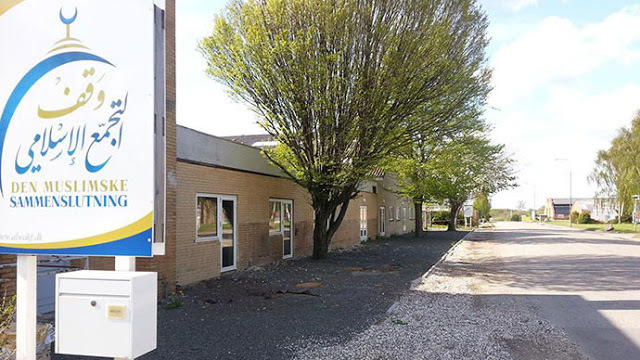 One such center can be found in Denmark at Grimhøjvej Mosque in Aarhus which openly serves as a recruiting station for militants meant to fight abroad in US-European backed wars in Libya, Syria, Iraq and Yemen. The government of Denmark openly collaborates with the mosque to integrate these individuals back into Danish society when they return. The mosque in Aarhus is hardly an isolated example. Such mosques backed and protected by US-European-Saudi money and political influence dot the globe, feeding recruits into a global mercenary army carrying out proxy war and staging terrorist attacks whenever and wherever politically convenient. 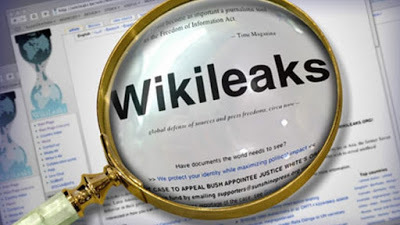 Both Wikileaks and even the US' own Defense Intelligence Agency has released documents exposing the role both the West and Gulf states such as Saudi Arabia and Qatar have played in the arming and funding of actual militants once they reach the battlefield. Additionally, militants that have been indoctrinated, trained, armed, funded and battle-hardened by Western and Gulf sponsorship, return back to their respective nations where they are then cultivated for domestic operations. Terror attacks like those in Paris and Brussels, Berlin and elsewhere are carried out almost exclusively by militants US-European security and intelligence agencies have known about and even arrested but inexplicably released, allowing them to carry out their attacks. February 13, 2017 (Joseph Thomas - NEO) - Transparency International puts out what it calls the "Corruption Perceptions Index." It is an annual index it claims "has been widely credited with putting the issue of corruption on the international policy agenda." These carefully selected words, taken at face value appear benign, even progressive. But upon digging deeper into this organisation's background it becomes clear that these "perceptions" are politically motivated, and the "international policy agenda" clearly favours a very specific region of the globe, particularly that region occupied by Washington, London and Brussels. From villages in rural India to the corridors of power in Brussels, Transparency International gives voice to the victims and witnesses of corruption. We work together with governments, businesses and citizens to stop the abuse of power, bribery and secret deals. As a global movement with one vision, we want a world free of corruption. 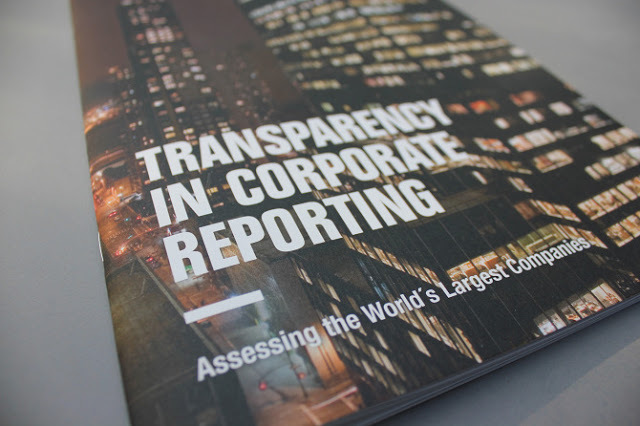 Through chapters in more than 100 countries and an international secretariat in Berlin, we are leading the fight against corruption to turn this vision into reality. Before moving onto the organisation's funding and financials, one would assume that above and beyond any other organisation in the world, Transparency International would carefully and diligently avoid any perceptions of conflicts of interest on its own part. Yet, not surprisingly, that isn't the case. 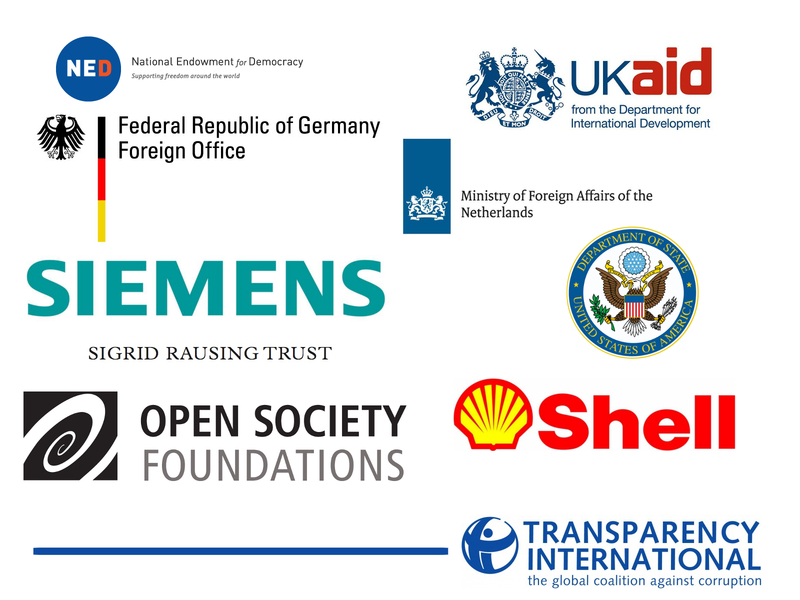 Other troubling sponsors dot Transparency International's funding disclosure, but the inclusion of immense corporate interests like energy giant Shell, is particularly troubling. So is the inclusion of the National Endowment for Democracy whose board of directors is chaired by representatives from other large corporations and financial institutions as well as partisan political figures involved heavily in not only influencing politics in their own respective nations, but who use the National Endowment for Democracy itself as a means to influence other nations. While these interests are transparently self-serving, the use of the National Endowment for Democracy allows them to predicate their involvement in the political affairs and elections of foreign nations upon "democracy promotion." This seems to be the very essence of corruption, "abuse of power" and "secret deals," yet they are funding Transparency International's very existence. February 5, 2017 (Ulson Gunnar - NEO) - Despite unmaterialized hopes of a new tack for US foreign policy, it appears that each and every front of US aggression has reopened in earnest, from the Middle East vis-a-vis Iran, to the South China Sea opposite China and now across Eastern Europe between US-led NATO and Ukrainian forces against Russia. While the fighting has been largely kept to the outskirts of Avdiivka during the day, the nighttime has been hellish for residents. Shells have landed indiscriminately throughout the town, and civilian casualties are racking up. According to Hug, both sides are making use of heavy weapons such as the multiple-launch Grad missile system, and they are doing so in plain sight of OSCE observers. 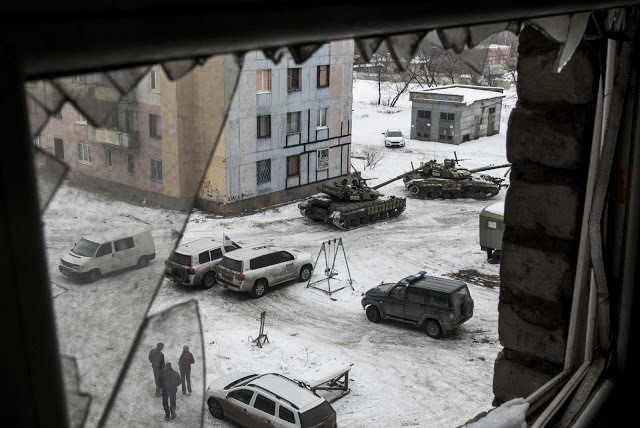 Grads, along with 152mm and 122mm artillery, were banned under the Minsk II agreement, which was signed two years ago after the catastrophic battle of Debaltseve. And to accent just how "in plain sight of OSCE observers" Ukrainian forces are operating, footage taken by BBC staff shows two OSCE observer vehicles following directly behind advancing Ukrainian tanks during one of the reported offensives. Despite the BBC's own staff capturing the footage, the BBC's reporting on Ukraine features carefully cropped photos omitting the OSCE observer vehicles. In violation of withdrawal lines, the SMM observed two tanks (T-64) between government-controlled Orlivka (22km north-west of Donetsk) and Avdiivka (17km north of Donetsk). In government-controlled Talakivka (90km south of Donetsk) the SMM saw two towed howitzers (D-30, Lyagushka, 122mm) towed by two military trucks (Ural). In government-controlled Ivanivka (59km south-west of Donetsk) the SMM saw four multiple rocket launcher systems (BM-21 Grad, 122mm) at a military compound which were previously seen on 29 November 2016. On 29 January, approximately 2.5km north of government-controlled Aslanove (85km south of Donetsk), an SMM mini unmanned aerial vehicle (UAV) spotted four self-propelled howitzers (2S1 Gvozdika, 122mm) near a tent with two-three soldiers visible and stacks of what appeared to be ammunition boxes. While US and European media portray US foreign policy as having shifted under incoming president Donald Trump, Ukrainian forces are emboldened by a systematic campaign of US-NATO support, including US-NATO forces operating both inside and outside Ukraine attempting to train and equip Ukrainian forces ahead of renewed fighting anticipated in eastern Ukraine. The U.S. is working with Canadians, British and Lithuanian forces at the remote training center near Yavoriv, which is now referred to as the Joint International Peacekeeping Security Center. Training ranges from gearing up ministry of interior troops to regular troops, military police and medical personnel, all admittedly for the purpose of reengaging rebel forces in the east in direct violation of agreements made with eastern Ukrainians, brokered between the US, NATO and Russia. "The training here will increase their survivability on the battlefield," Ducich said. "They're going against an enemy that has very sophisticated weapons -- and not just from the lethal standpoint... there's an electronic warfare aspect to this that we have not seen that we are now incorporating into the training here. I don't think it's about matching (Russia's capabilities). I think it's knowing what you can do and maximizing that effectiveness on the battlefield." In addition to openly training Ukraine's army to reignite hostilities, rebel leaders have been targeted and assassinated amid the fragile ceasefire. January 22, 2017 (Ulson Gunnar - NEO) - Following rhetoric regarding Europe's refugee crisis, one might assume the refugees, through no fault of Europe's governments, suddenly began appearing by the thousands at Europe's borders. However, this simply is not true. Before the 2011 wave of US-European engineered uprisings across the Middle East and North Africa (MENA) transformed into Western military interventions, geopolitical analysts warned that overthrowing the governments in nations like Libya and Syria, and Western interventions in nations like Mali and the Ivory Coast, would lead to predicable regional chaos that would manifest itself in both expanding terrorism across the European and MENA region, as well as a flood of refugees from destabilized, war-racked nations. 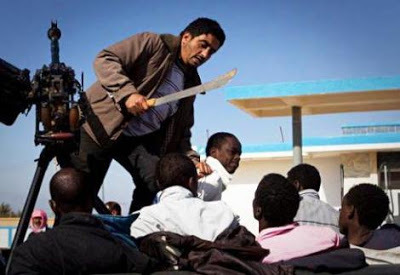 Libya in particular, was singled out as a nation, if destabilized, that would transform into a springboard for refugees not only fleeing chaos in Libya itself, but fleeing a variety of socioeconomic and military threats across the continent. Libya has served for decades as a safe haven for African refugees due to its relative stability and economic prosperity as well as the Libyan government's policy of accepting and integrating African refugees within the Libyan population. Because of NATO's 2011 military intervention and the disintegration of Libya as a functioning nation state, refugees who would have otherwise settled in Libya are now left with no choice but to continue onward to Europe. For France in particular, its politics have gravitated around what is essentially a false debate between those welcoming refugees and those opposed to their presence. 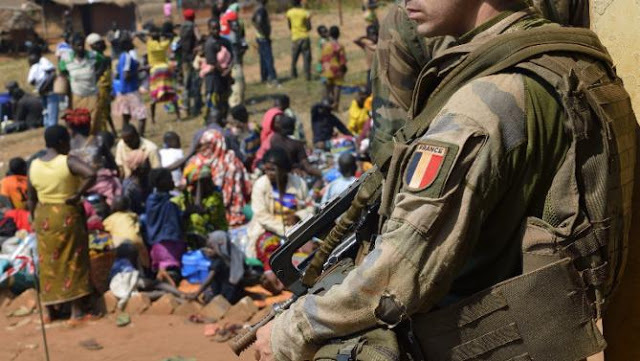 Absent from this false debate is any talk of French culpability for its military operations abroad which, along with the actions of the US and other NATO members, directly resulted in the current European refugee crisis. Four years ago, French forces intervened in Mali, successfully averting an al Qaeda-backed thrust toward the capital of Bamako. The French operation went a long way toward reducing the threat that multiple jihadist groups posed to this West Africa nation. The situation in Mali today remains tenuous, however, and the last 18 months have seen a gradual erosion of France's impressive, initial gains. And of course, a French military presence in Mali will do nothing to stem Al Qaeda's activities if the source of Al Qaeda's weapons and financial support is not addressed. In order to do this, France and its American and European allies would need to isolate and impose serious sanctions on Saudi Arabia and Qatar, two nations who exists as the premier state sponsors of not only Al Qaeda, but a myriad of terrorist organizations sowing chaos worldwide. 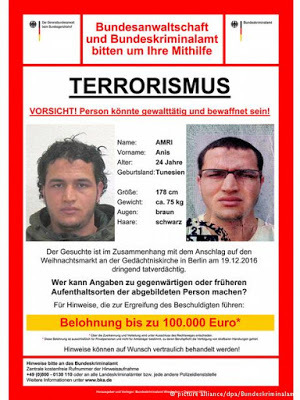 Gladio Again: Germany Could've But Didn't Stop Berlin Attacker. Why? January 22, 2017 (Tony Cartalucci - NEO) - According to German broadcaster Deutsche Welle (DW), German security and intelligence agencies were particularly familiar with the Berlin attacker, Anis Amri, long before he plowed a large truck into a Christmas market, killing 12 and injuring many more. In an article titled, "All the cracks that Berlin suspect Amri slipped through," a now familiar litany of excuses are peddled before audiences in a bid to explain why the suspect wasn't stopped, weeks, months, even years before he carried out his attack, as soon as it became apparent he was both violent and a danger to society. The suspect first caught authorities' attention in November 2015, when he unwittingly told an informant for the investigative police unit (BKA) in the state of North-Rhine Westphalia that he wanted to "do something in Germany," according to a document obtained by the daily Süddeutsche Zeitung. He also claimed that he could get an AK-47 for an attack. Further, he was apparently aggressively seeking an opportunity to undertake an attack in Germany. Information pointing to his dangerous potential became so overwhelming that authorities designated him a threat last February. All information was then handed over to the Berlin public prosecutor's office. The suspect was observed from March on. He raised no suspicion in the months that followed, and authorities stopped surveilling him in September. In December, Amri would carry out his deadly attack, just as attackers in France and Belgium did after being surveilled - in some cases for years - before being allowed to drop off security and intelligence agencies' radars just ahead of their respective, deadly attacks. Germany's weak excuses for not apprehending a man who openly admitted he sought to acquire weapons and take human lives echo similarly convenient excuses provided by the French government following a string of fatal attacks across its territory. Paris has claimed a lack of resources to process the large number of potential terrorists returning from battlefields France itself has helped send arms, fighters, and other forms of material support to on behalf of terrorist organizations and their allies. Germany's excuses might seem plausible if not for the fact that virtually every terror attack that has unfolded not only in Germany, but across all of Europe follows a similar pattern where suspects are surveilled, questioned, entrapped, even arrested and released multiple times, before ultimately carrying out spectacular, politically convenient attacks across Europe. Such purposeful negligence matches another chapter in Europe's more recent history - that during the Cold War in which NATO security and intelligence agencies maintained a myriad of pan-European terrorist organizations of every imaginable variety, used to assassinate political opponents, carry out deadly and spectacular terror attacks, and otherwise use violence, fear, and intimidation to manipulate both public perception and political outcomes during elections in respective states. In Europe's new order, they are the spies who never quite came in from the cold, foot soldiers in an underground guerrilla network with one stated mission: To fight an enemy that most Europeans believe no longer exists. Theirs is a tale of secret arms caches and exotic code names, of military stratagems and political intrigues. At best, their tale is no more than a curious footnote to the cold war. The question is if, at worst, it could be the key to unsolved terrorism dating back two decades. The focus of the inquiry is a clandestine operation code-named Gladio, created decades ago to arm and train resistance fighters in case the Soviet Union and its Warsaw Pact allies invaded. All this week, there have been disclosures of similar organizations in virtually all Western European countries, including those that do not belong to the North Atlantic Treaty Organization. The New York Times would also describe how Gladio was used to manipulate public perception, use the specter of fear regarding communism after staged terror attacks to coerce populations to vote in governments of Washington's liking, and essentially frame opposition groups for violence the US and NATO were carrying out with their own terror cells. What's Really Behind US Claims of "Russian Hacking?" January 19, 2016 (Tony Cartalucci - NEO) - Despite great effort recently put into bolstering the credibility of the "American intelligence community" in the wake of their assessment regarding alleged "Russian hacking," it should be remembered that this same "community" intentionally and maliciously fabricated a myriad of lies surrounding so-called weapons of mass destruction in Iraq which led to a destructive war that claimed upward to a million lives - including over 4,000 US troops. A community responsible for verified, self-serving lies, has no credibility. Nor do the media organizations that repeated those lies without questioning the very flawed factual and logical fundamentals underpinning them. More recently, the evidence presented by this community and their partners across the Western media regarding alleged "Russian hacking" of the 2016 US elections is so weak, the logical fallacy of appealing to authority is essential to selling it to the global public. What Do They Even Mean by "Russian Hacking?" The Obama administration said Friday it was "confident" that Russia was behind recent hackings of emails about upcoming US elections in an attempt to interfere with the process. The announcement marks the first time the US administration has officially accused Russia of hacking into US political systems. 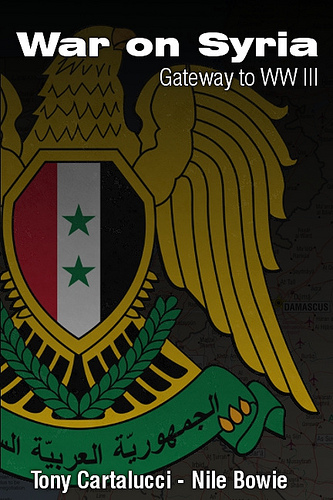 Earlier in the week, the two countries broke off formal talks about a ceasefire in Syria. "We believe, based on the scope and sensitivity of these efforts, that only Russia's senior-most officials could have authorized these activities," the Department of Homeland Security and Office of the Director of National Intelligence said in a joint statement. Claims of Russia "hacking into US political systems" invokes images of hackers based in the Kremlin using sophisticated cyber weapons to crack into voting machines, polling stations, and databases to skew election results. In reality, nothing of the sort happened - based not on Russian statements - but on the "American intelligence community's" own official reports on the incident. In actuality, the "hacking" involved e-mails that were leaked to the public - genuine e-mails that had circulated throughout the Democratic National Committee (DNC), including those between US presidential candidate and former US Secretary of State Hillary Clinton and her campaign manager, John Podesta. The e-mails were then handed over to Wikileaks before being released to the public. No polling stations were "hacked," no databases compromised, and no influence exercised over US elections beyond whatever influence the truth about DNC internal communications had on the American public. Why Did the West Help ISIS Spread Hysteria Post-Berlin Attack? 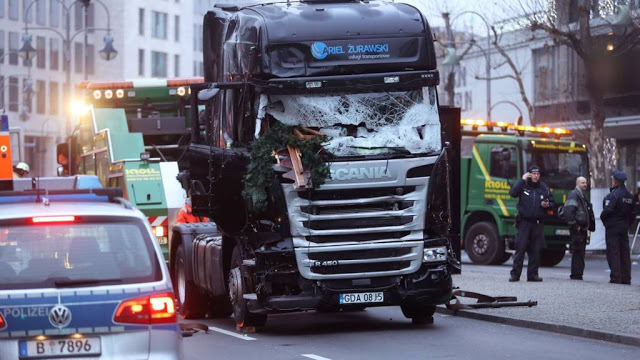 December 29, 2016 (Tony Cartalucci - NEO) - The Washington Post - among others - hit the ground running in the wake of an apparent terrorist attack in Germany's capital of Berlin before evidence was forthcoming and even before German police arrested a suspect. A truck plowed into a crowded Christmas market, killing 12 and injuring many more in what resembled an attack in Nice, France where a truck likewise plowed into a crowd killing 86 and injuring hundreds more. The Washington Post's article and others like it followed the self-proclaimed "Islamic State" (ISIS) allegedly taking credit for the incident. Undeterred by a lack of evidence, the Washington Post and other media outlets - eager to capitalize on the attack to further Western narratives - concluded that the attack was aimed at "sharpening the divide between Muslims and everyone else." The claim on the official Amaq media channel was short and distressingly familiar: A “soldier of the Islamic State” was behind yet another attack on civilians in Europe, this time at a festive Christmas market in Berlin. The accuracy of the claim remained in question Tuesday as German authorities searched for both a suspect and a motive behind the deadly truck assault on holiday revelers. But already it appeared that the attack had achieved one of the Islamic State’s stated objectives: spreading fear and chaos in a Western country in hopes of sharpening the divide between Muslims and everyone else. The Washington Post's "analysis" fails to explain why ISIS would target a nation so far playing only a minor role in anti-ISIS operations or the logic in provoking a wider divide between Muslims and the West. At one point, the Washington Post actually suggests ISIS may be trying to hinder the flow of refugees away from their territory toward nations like Germany with open-door policies welcoming them. In reality, the Washington Post and the "experts" it interviewed are merely attempting to perpetuate the myth of what ISIS is and what its supposed objectives and motivations are. Understanding what ISIS really is, and what it is truly being used for, goes far in explaining why the incident has been so eagerly promoted as a "terrorist attack," and why other incidents like it are likely to follow. July 20, 2016 (Tony Cartalucci - NEO) - While the Western media poses as perplexed over the recent string of horrific attacks across Europe and particularly in France, the latest of which unfolded this week in the seaside city of Nice leaving over 80 dead and many more injured, it is clear that France itself has cultivated the soil within which terrorism and violence has taken root. Through France's own domestic and foreign policy, it has created the perfect storm to continue "watering" terrorism at home and abroad, while its political leaders carefully cultivate the predictable division, fear, hysteria, and violence that is now unfolding. Between attacks in 2015 and 2016, over 200 people have now died in France as a result of violent domestic attacks. Since 2011, France has played a key role in destabilizing North Africa and the Middle East. In 2011, it participated in the US-led NATO assault on Libya, as well as sending troops to other African nations including the Ivory Coast and Mali. France also currently maintains troops in Sahara, the Democratic Republic of Congo, Liberia, Central African Republic, and Sahel in Africa, as well as troops still participating in the ongoing occupation of Afghanistan. While France has portrayed these operations as essential for maintaining global stability and security, it has done anything but. In addition to creating chaos from which torrents of refugees are now fleeing - all the way to Europe - it should be noted that a component of French involvement abroad is also the arming and funding of militant groups. This was especially so in Libya, where France helped install into power terrorists affiliated with Al Qaeda. The air drop would appear to be in violation of the arms embargo against Libya instituted by the United Nations. But Nato officials believe that the UN security council resolution 1973 which authorised the bombing campaign allows for a wide range of actions in furtherance of the mission to "protect civilians". It retrospect, it was clear that France's actions had little to do with an interest in "protecting civilians" and instead led directly to the overthrow of the Libyan government. 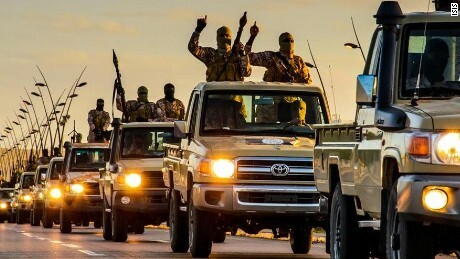 The militant forces, armed, backed, and even provided air cover by NATO would be later revealed to be extremists directly affiliated with Al Qaeda and would later transform into the so-called "Islamic State" (ISIS) in Libya. Libyan leader Muammar Qaddafi had for decades subdued and kept in check extremist elements centered primarily in eastern Libya's Cyrenaica region, particularly in the cities of Benghazi, Tobruk, and Derna which would later go on to become epicenters of US military and diplomatic activity after the war as well as a springboard for Western-backed terrorism in Syria. July 11, 2016 (Tony Cartalucci - NEO) - Despite claims made during NATO Summit Warsaw 2016, that "NATO remains a fundamental source of security for our people, and stability for the wider world," it is clear that the threats and challenges NATO poses as existing to confront are in fact threats of its own, intentional creation and continued perpetuation. From the ongoing refugee crisis triggered by NATO's own global-spanning and ongoing military interventions, invasions, and occupations, to its continued expansion along Russia's borders - violating every convention and "norm" that existed during the Cold War to keep it "cold," NATO has proven that it is to the populations it poses as protector over, in fact, their greatest threat. In particular, the summit in Warsaw, Poland centered on NATO's expanding military presence along Russia's borders, particularly in the Baltic nations of Estonia, Latvia, and Lithuania, as well as in Poland itself. The summit also covered ongoing NATO involvement in Afghanistan and Iraq, two nations so far beyond the Atlantic states the alliance allegedly was founded to protect, it would be comical if the consequences of their far-reaching meddling weren't so serious. Global peace and stability is tenuously maintained through a careful balancing act between conflicting centers of power. The story of human history is that of this balancing act being performed. World War II, which gave way to the current international order we live in, came about because of a fundamental failure to maintain this balancing act. 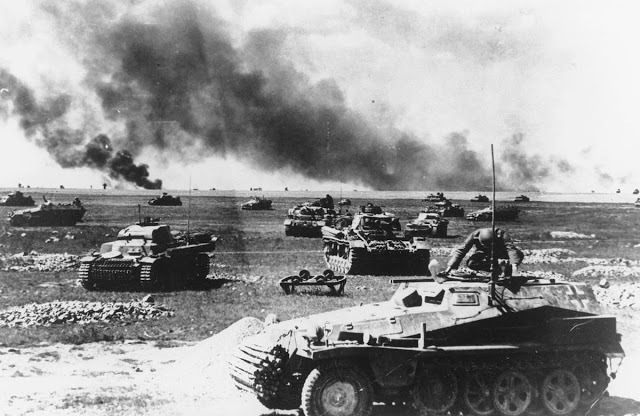 Perhaps the most troublesome aspect of World War II's genesis, was the German military build-up along the then Soviet Union's borders characterized by Berlin at the time as a means of collective defense for Europe, when in fact it was the lead up to a full-scale invasion known now as "Operation Barbarossa." It is troublesome particularly because NATO is currently building up its forces in almost precisely the same areas and in almost precisely the same manner Nazi Germany did in the 1930s. When German forces crossed into Russia on June 22, 1941, a potential balance of power meant to preserve Germany and the rest of Europe against perceived Soviet menace turned into a war that devastated both Europe and Russia. The subsequent Cold War is an example of a balancing act of power being performed mostly with success. However, despite many common misconceptions regarding the Cold War, the mere existence of opposing nuclear arsenals and the concept of mutually assured destruction was not why balance was maintained. Instead, balance was maintained by an immense framework, painstakingly constructed by both American and Soviet leaders, at the cost of both nations' egos, pride, and interests and involved everything from agreements about the weaponization of space, to the composition and deployment of their nuclear arsenals, and even regarding defense systems designed to protect against nuclear first strikes. July 8, 2016 (Tony Cartalucci - NEO) - A nation is its institutions. If those institutions are overrun and no longer exist, so too does the nation itself cease to exist. Institutions range from the offices of government, to education, to agricultural and economic development, to the management of natural resources, national infrastructure including energy and transportation, and security. These are the things we think about when we think about the concept of a modern nation-state. Contrary to popular belief, the invasion and occupation of any particular nation is not a mere exercise of military might. It also, by necessity, involves the destruction or overrunning and eventual replacement of all the above mentioned institutions. The most extreme modern-day example of this was the US invasion of Iraq, where Iraqi institutions from top to bottom were either entirely destroyed and replaced, or taken over by the Coalition Provisional Authority (CPA). 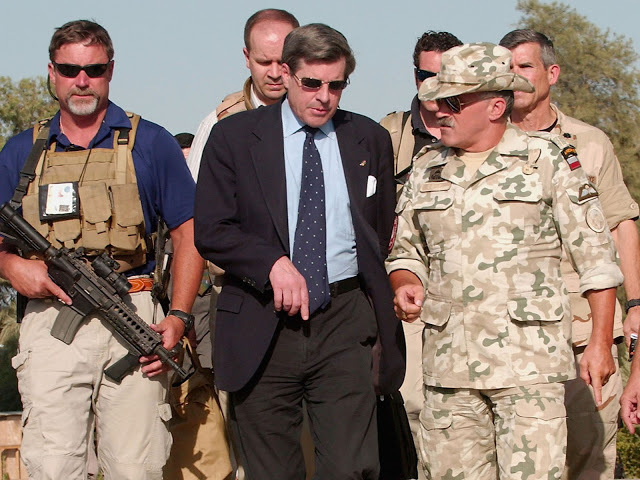 The CPA was literally headed by an American, Paul Bremer, who, far from being a military man, was instead drawn from the US State Department and a background of chairing corporate-financier boards of directors. The CPA assumed responsibility for all aspects of life in Iraq, from the privatization of Iraq's economy, to "reconstruction," to reorganizing the nation socially, politically, and economically. The average onlooker will remember US President George Bush's "shock and awe," and may remember several of the more notorious battles of the invasion and subsequent occupation. What they rarely recall is the all encompassing dominion the US assumed over the nation through the CPA which was merely underpinned by US military forces. Yet despite the relatively dull nature of the CPA's work versus security operations carried out by American forces, the CPA is what essentially "occupied" and ultimately conquered Iraq. Iraq and Afghanistan are extreme examples of the US exercising global hegemony, which included spectacular, full-scale military invasions, lengthy occupations, and nationwide "nation-building" carried out by various organizations utilized by the US to project power abroad. One of these organizations is USAID. It should be, but rarely is, troubling to the world's nations that USAID played an integral part in the invasion, occupation, and conquest of Iraq and Afghanistan, while it also maintains an extensive presence everywhere else US interests have directed their attention. USAID and a virtual army of nongovernmental organizations (NGOs) and front-companies it supports worldwide, are engaged in activities in other nations ranging from education, energy, natural resources, economic development, transportation, and security - or in other words everything foreign nations should already be attending to themselves. US sanctions aren't just hurting everyone including the US, they are accomplishing nothing. June 6, 2016 (Ulson Gunnar - NEO) - The US State Department's Radio Free Europe/Radio Liberty (RFE/RL) notified readers of a diplomacy campaign by the United States aimed at "urging" Europe to maintain sanctions against Russia. While the US claims the necessity of these sanctions are self-evident and beneficial to the US and Europe, such campaigns would not be needed if that were truly the case. Image: Ukraine's own industries have been the first to collapse, not Russia's, amid US-led sanctions on Moscow. The United States is dispatching an envoy to Paris and Berlin on June 7 and 8 to try to convince European allies "of the importance of maintaining sanctions pressure on Russia," the U.S. Treasury said on June 3. The sanctions, RFE/RL claims, are a result of Russia's involvement in neighboring Ukraine's downward spiral, which ironically enough, began not with Russian involvement but with that of America. Between 2013-2014 the United States, with its own senators traveling to Ukraine and taking the stage at US-backed protests in Kiev, quite literally propelled a violent Neo-Nazi putsch into power. Since then, Ukraine has unraveled. Rather than taking responsibility for yet another failed US intervention, US policymakers have instead decided to shift the blame on Moscow. The ability to hold up US-EU sanctions against Russia as a means of legitimizing this shift of responsibility is key to the continued underpinning of Western support for the current regime in Kiev, and Washington's continued belligerence toward Moscow. Like a geopolitical wrecking ball, US intervention in Ukraine first destabilized and destroyed Ukraine's economy, before brushing into Russia and now with sanctions ongoing ever since, the effects have swung back to hit Europe and even the United States itself. Ukraine since Soviet days has enjoyed several notable accomplishments in the field of heavy industry. 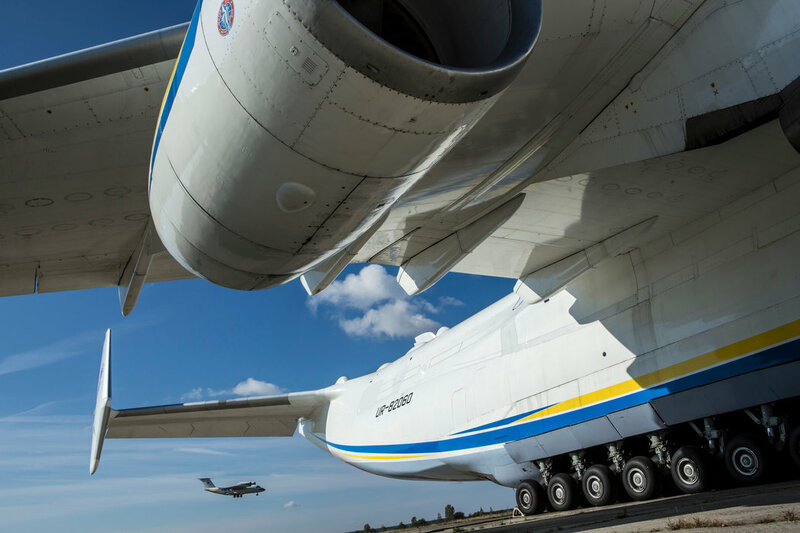 The legendary Anatov aircraft company is headquartered in Ukraine and produces some of the largest heavy lift aircraft in the world. The crisis with Russia that erupted in February terminated Antonov’s most promising, albeit already troubled, joint venture: a short-takeoff, heavy-lift plane that the Russian military had sought for years. Antonov was not alone. With the rupture, Ukraine, among the world’s top 10 arms exporters, lost the market that spurred the development of its military industry. Economic and military experts said Antonov’s troubles epitomized the twin problems plaguing state-run companies in Ukraine, particularly the military sector, as it tries to slip Russia’s gravitational pull and hitch its fortunes to Europe. Though the New York Times attempts to place the blame squarely on Russia, the reality is that Ukraine has an inescapable historical, cultural, technological and socioeconomic relationship with neighboring Russia, a relationship being artificially severed by a likewise artificial regime in Kiev. 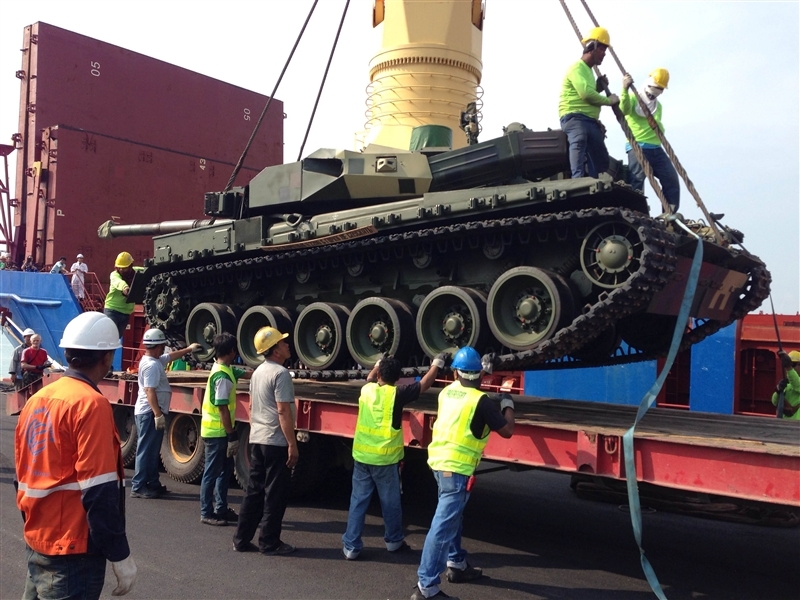 Image: The first and perhaps last Ukrainian-made tanks to arrive in Thailand as Bangkok shifts to Chinese alternatives amid Kiev's faltering leadership. 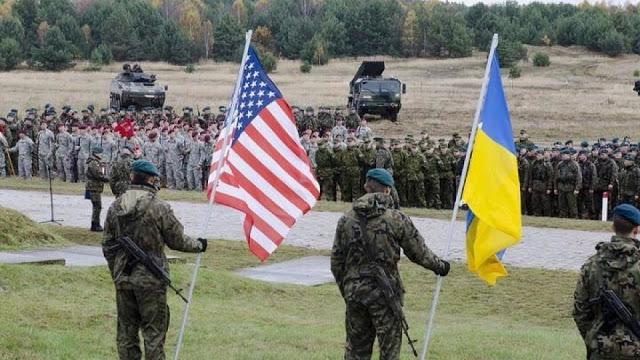 The primary problem facing this US-European prodded shift is that the defense industry Ukraine was a part of, represented and benefited from mirroring that of the US and Europe. Attempting to integrate itself with the US and Europe is unlikely, and instead what will follow is the liquidation of Ukraine's economic strength. The New York Times notes that Ukraine also was a prolific weapons developer and manufacturer, among the top 10 in the world. Nations around the world sought Ukrainian systems, including armored personnel carriers and main battle tanks because of comparable characteristics to Russian and Chinese systems. June 3, 2016 (Tony Cartalucci - NEO) - Like a mythical sea monster, the true nature of a Wall Street-London centered global corporatocracy is often talked about but rarely seen. However, on rare occasions, a tentacle breaks the surface and affords the public an opportunity to examine and assess its true, gargantuan dimensions. Just such a moment occurred when leaked diplomatic letters from the Colombian Embassy in Washington D.C. revealed just how far the United States government is willing to go on behalf of the corporate-financier interests that clearly shape the entirety of its foreign policy. The drug is called imatinib [Gleevec]. 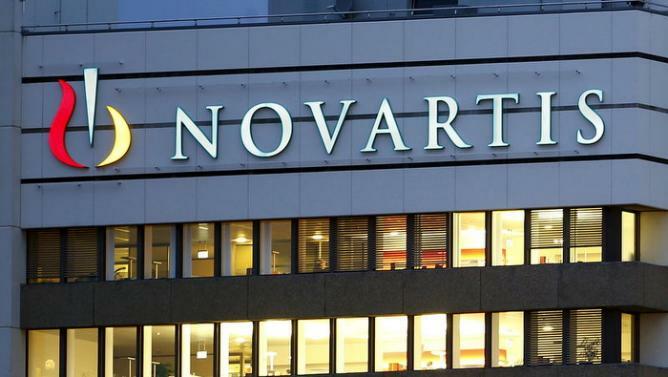 Its manufacturer, Novartis, markets the drug in Colombia as Glivec. The World Health Organization’s List of Essential Medicines last year suggested it as treatment not only for chronic myeloid leukemia, but also gastrointestinal tumors. Currently, the cost of an annual supply is over $15,000, or about two times the average Colombian’s income. The repercussions included threats to derail the $450 million "Peace Colombia" initiative aimed at ending decades of fighting in the South American nation that has claimed nearly a quarter of a million lives. Leveraging peace and stability in Colombia to force Bogotá to capitulate to pharmaceutical giants like Novartis seems extreme, but upon closer examination of other episodes in recent history - including the US invasion and occupation of Iraq, the subversion of Libya and Syria, and admitted US ambitions to encircle and contain China, such coercion is a common feature of the Wall Street-London centric "international order" Washington eagerly promotes. 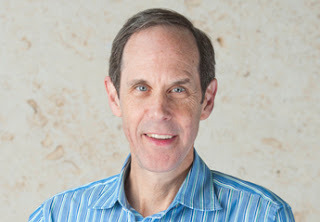 Image: NIH-funded researcher Dr. Brian Druker. What is perhaps most appalling about this most recent episode is that Novartis' "patent" is for a drug developed using public funding over several decades through the United States National Institutes of Health (NIH). Indeed, in 1990, NIH-funded researcher Dr. Brian Druker began developing model systems integral to bringing "Glivec" to market. He would eventually partner directly with Ciba-Geigy (now Novartis) before clinical trials began. The NIH’s National Cancer Institute (NCI), along with many other public and private organizations, played a vital role in developing Gleevec®. The nature of pharmaceutical giants building fortunes upon publicly funded research, with Gleevec serving as a primary example, was in even the subject of an entire paper published by the National Science Foundation (NSF) under the title, "Public R&D Investments and Private-sector Patenting: Evidence from NIH Funding Rules (.pdf)."